On my previous post, I talked about how to install Ubuntu desktop and doing the first update of it. This post focuses on installing the right IDEs (eclipse for most development and aptana for ruby dev). First off – you need music. Go to Ubuntu Software Center from the pane on the left. Search for eclipse and click Install. This will take about 20 minutes to go through and you might get a vague message about missing packages. That said, when it’s done, you can open eclipse just fine. 1. 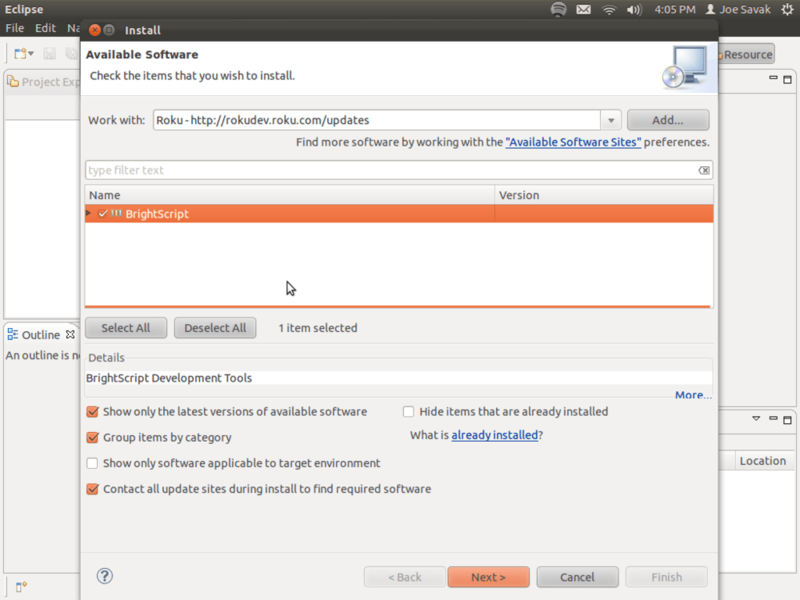 In Eclipse click on Help–> Install New Software. 5. It’ll ask that you accept the terms & conditions – click Finish here. Next, install rails/ruby or whatever language you need. My ubuntu install came with python but needed java and ruby/rails installed. 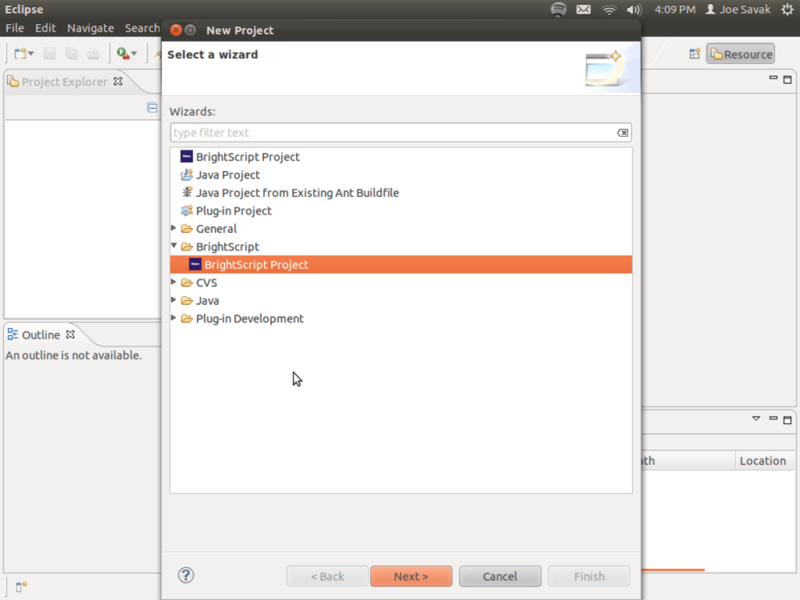 When you install eclipse from Ubuntu Software Center, it’ll pull a java version too. Click on “Data Project”. It says CD/DVD, but you don’t really need one. It’ll run quite a while and when done, the “Burn” button will be enabled. Click on it and save the iso file. Upload the iso file to a cloud location. You can use the image on your cloud servers too.